The meeting, held on September 6 in Djibouti, resulted in the signing of a cooperation agreement between Eritrea, Ethiopia and Somalia. 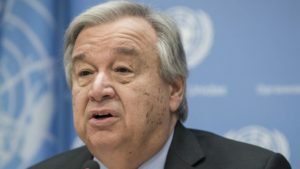 In July, Djibouti has petitioned UN Secretary General Antonio Guterres to help peacefully resolve the border dispute with Eritrea following the recent end to that nation’s 20-year border dispute with Ethiopia. Takeda Alemu, Ethiopia’s ambassador to the United Nations told the Security Council, in July, that Addis Ababa had conducted fruitful and useful discussions with the Djibouti foreign minister. The Djibouti – Eritrea standoff is seen as the final rift needed to be solved to restore durable peace to the Horn of Africa region. Posted by Geraldine Boechat on September 10, 2018. Filed under News. You can follow any responses to this entry through the RSS 2.0. Both comments and pings are currently closed.